Australia’s government says it will send more than 50 medical professionals to Indonesia to help with the aftermath of a devastating earthquake and tsunami as part of a 5 million Australian dollar ($3.6 million) aid package. 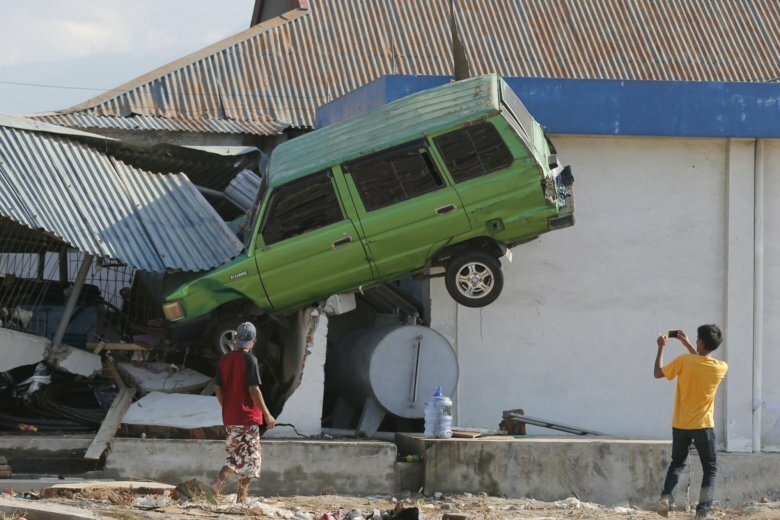 Indonesia’s disaster agency says the death toll from an earthquake and tsunami disaster on a central island is now 1,234. The situation is increasingly desperate in the severely damaged areas of central Sulawesi island where people are running short of food, fuel and other essentials. Friday’s magnitude 7.5 earthquake and the tsunami it generated caused at least 840 deaths but some areas outside Palu have yet to be reached. Australia’s government has given financial aid to help victims of Indonesia’s earthquake and tsunami and was talking with Indonesian authorities about sending more. Australia’s ambassador was consulting the Indonesian government on more support. Morrison told reporters in the west coast city of Perth that Australia was looking at how to best fit the needs of its neighbors in their time of need and that Australia’s support wouldn’t only be in the short-term. Indonesia’s president has authorized the acceptance of international help, with generators, heavy equipment and tents among the most-needed items. Officials have said the European Union, United States and China have also offered help. The city was among those hit in last week’s earthquake and tsunami, but aid has been slow to arrive due to the difficulty in reaching it. Survivors in Donggala say they worry they have been forgotten as attention has been focused on the city of Palu, which has been easier to reach. Indonesia is a vast archipelago stretching a similar distance to that between New York and London. It is located on the seismically active “Ring of Fire” and is frequently struck by earthquakes, volcanic eruptions and tsunamis. Desperation is visible everywhere in areas heavily damaged by an earthquake and tsunami, four days after the disaster devastated parts of Indonesia’s central Sulawesi island.